Hoonah is located on the northwest shore of Chichagof Island across Icy Strait from the entrance to Glacier Bay. Hoonah is about 40 miles west of Juneau, the capital city for Alaska. Hoonah means "village by the cliff". It is the principal village for the Huna Tlingit tribe that has occupied the area for centuries. Hoonah is the largest Tlingit village in southeast Alaska. The area includes 6.6 square miles of land and 2.1 square miles of water. The total population in Hoonah is 868. The Hoonah tribal government population total is 618. 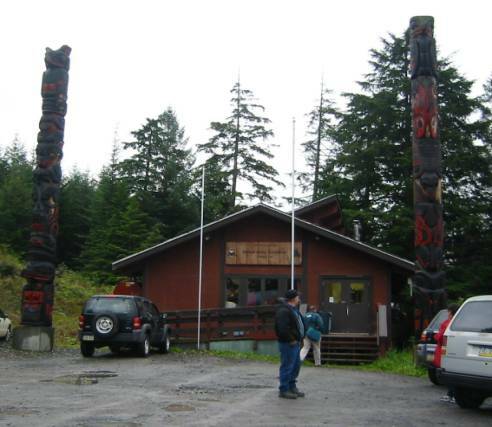 The Hoonah Indian Association is the federally recognized governing body of the tribal members of Hoonah, Alaska. The Hoonah Indian Association also has the authority to establish relationships and enter into contracts for the well being of the Tribe. Surface Transportation: The Alaska Marine Highway ferry runs two times per week from Juneau to Hoonah, Alaska. This ferry also serves both Angoon and Sitka, Alaska on this same route. The State of Alaska maintains the ferry terminal. Freight arrives by barge, AMHS ferry and airplane. 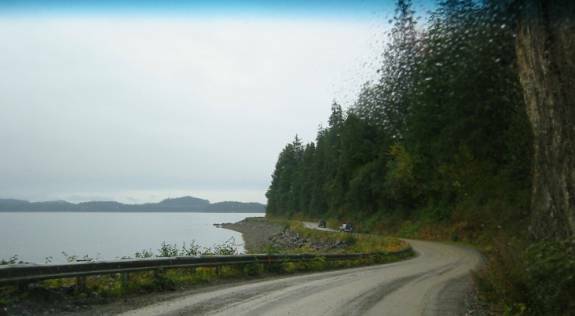 There is an extensive logging road system on the northern portion of Chichagof Island. Air Transportation: Daily scheduled flight service is provided by several small air/float taxi services. The airport and a 3,000 foot runway are owned and maintained by the State of Alaska. There is also a seaplane float that provides for additional flight opportunities when aircrafts are unable to use the airport due to inclement weather. Public Transportation: At the current time there is no public transit. There has been discussion about the potential use of transit to service economic development efforts related to the Point Sophia/Icy Strait Tourism Project. There are no transportation projects underway; however, there is a $22 million re-development project underway at the Icy Strait cannery. Tourism will be a new major industry starting next year with the opening of the cannery project, which Point Sophia Development Company is managing. The company has commitments for thirty-three cruise ships which will visit Hoonah next summer with anticipated increased visits in future years. The City of Hoonah has one State Department of Transportation, employee who is responsible for maintaining state facilities. 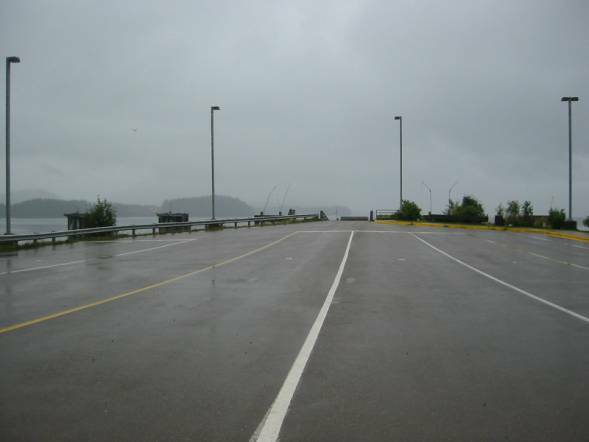 Facilities include the airport, ferry terminal and two miles of paved road. The Hoonah Indian Association has contracted with the City of Hoonah to provide road maintenance with the money that received from the Bureau of Indian Affairs. These grant monies are used for purposes of reservation of roads, roadsides, and road structure in the condition necessary for their safe and efficient utilization. This includes cleaning and repairing ditches and culverts, stabilizing and removing slides, drift sand, mud and dust; adding additional culverts to forestall roadway damage, repair, replacement or installation of traffic control devices and other features necessary to conduct traffic and protect the road and traveling public; removal of hazards, and repair or development of stable road embankments including the travel way and shoulders. This may include realignments only with approval of the Bureau of Indian Affairs. Two years ago, the Hoonah Indian Association developed a 20-year transportation plan to be included as part of the Alaska Region's 20-year transportation plan. This includes the paving of 150 miles of logging roads and 8 miles of unpaved downtown streets. The priority project for this plan includes 8 miles of unpaved downtown streets. The Alaska Federal Highways Program has started the initial steps in a $12 - $15 million Federal Highways Road project that will improve the existing gravel road from the pavement break at the Hoonah Airport to the Mt. Bether "turn-off." The Spirit Camp will operate 2 camps within this section of roads. The Public Lands Discretionary program in 2003 earmarked $1.273 million for the City of Hoonah. The funding is proposed to build a low-level recreation road to Spasski Bay to accommodate the power intertie from Juneau and to provide additional road recreation opportunities. 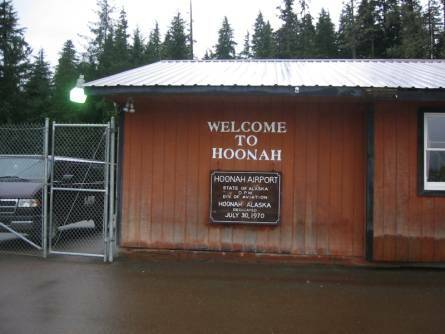 The Hoonah Indian Association has an on-going working relationship with the City of Hoonah under a Tribal Resolution. The Hoonah Indian Association also work with the Bureau of Indian Affairs for Road Maintenance and Transportation Planning and the State of Alaska, Department of Transportation and Public Facilities. This past year, the State of Alaska has assisted the Hoonah Indian Association in obtaining traffic counts for a roads inventory. Currently, the Hoonah Indian Association has 3 streets on the Bureau of Indian Affairs inventory, totaling 2.45 miles of road. To provide Feedback, Suggestions or Comments for this page contact Tim Penney at tim.penney@dot.gov.